Dr. Janel Voelker, D.C., C.A.C.C.P. Dr. Janel Voelker is a 2000 graduate of Ripon College with a bachelors in Biology with a minor in Chemistry. She then graduated from Palmer College of Chiropractic in Davenport Iowa in February of 2007. Upon graduation, she received many distinctions, including graduating as valedictorian of her class, and being selected by the clinic faculty to receive the Clinical Excellence Award. An award that is presented to the student in the class who exemplifies the highest ideals of the chiropractic profession, including patient care & leadership. Upon graduation Dr. Voelker and her husband moved to beautiful Cape Elizabeth, Maine, where she ran a very successful family wellness center, Coastal Wellness Family Chiropractic, for seven and a half years. During the summer of 2014 Janel, Mike, and their three year old son Otto, were called to move back to Wisconsin to be closer to their families. By mid-November they had completed their move and were ready to start a new journey - Holistic Life Chiropractic! During her seven and a half years of practice in Maine, Dr. Voelker was able to find her niche - working with pregnant women and children! She earned her Certification in Pediatrics through the International Chiropractic Pediatric Association, and is currently working toward earning her diplomate in Pediatrics. She is also Webster Certified, a technique used to help pregnant women have safe, health, natural deliveries, by ensuring optimal alignment of the pelvis and sacrum. Dr. Voelker, her husband, Michael, daughter, Mary, and son, Otto live in Blue Mounds where they enjoy the outdoors and beautiful countryside. Dr. Voelker's son has been getting weekly chiropractic adjustments since he was only four days old. He is an extremely happy, healthy, and well adjusted little boy! Their twelve year old daughter, Mary, joined their family in August 2015. She has been enjoying learning about chiropractic care and a healthier lifestyle. Dr. Voelker is very strong in her faith to God. "I believe that God has blessed me with a great ability to help people heal and be healthier. God works everyday through my hands and words to help others, and for that I am very grateful to Him. 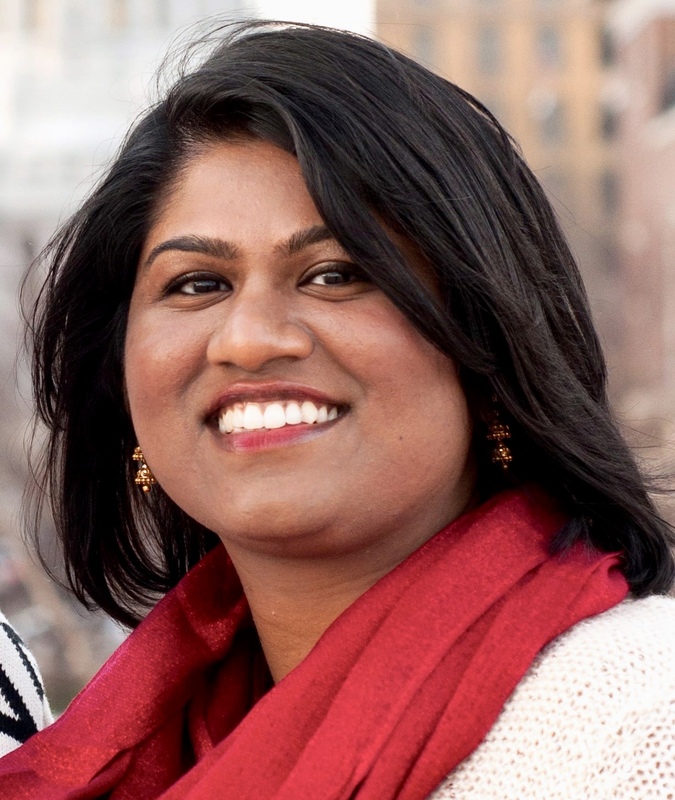 Dr. Shalom Samuel grew up in Chennai, India and moved to the United States with her Family at the age of 12. After graduating from West Bend high school in Wisconsin, she entered the Pre-Med program at UW-Parkside and had the goal of going to medical school to become a Dermatologist. During her junior year of college, she was awarded an exceptional scholarship to go study abroad in Australia at Macquarie University for a semester. Upon successful completion, she continued her studies & graduated in 2008 with a Bachelor of Science Degree (B.S). During her time at Parkside, Dr. Shalom was actively engaged in church activities, mission trips to Mexico and India, had leadership roles in various clubs and organizations including the Pre-Med and Biology clubs. Dr. Shalom first learned about chiropractic through Dr. Don Daniels, whose family she stayed with while finishing her last year at UW-Parkside. She shadowed Dr. Daniels at Daniels chiropractic office in Racine,WI and began to realize that the body has the power to heal itself and that the nervous system flows through the spine, which controls every single part of the body. Dr. Shalom, therefore decided to go to chiropractic school rather than medical school. She graduated from the Palmer College of Chiropractic in Iowa in 2012. During her time at Palmer, Dr. Shalom provided chiropractic care to the less fortunate in the community outreach clinic. She also taught Radiology positioning, assisted clinicians with electronic health records and was the teaching assistant in the Diagnosis Department. After graduation, Dr. Shalom decided to move from Wisconsin in order to pursue her dream job as a chiropractor. She practiced in Arizona and California for 2 1/2 years, and then decided to move closer to family. She is trained in the Diversified technique, Thompson drop, Activator, Flexion- Distraction and Logan basic. Dr. Shalom also uses trigger point therapy and other physical modalities to help muscles relax before and after the treatment. Dr. Shalom has a passion to spread chiropractic to everyone she meets in the hopes of living in a drug-free society someday. Dr. Shalom is working towards specializing in chiropractic care for pediatrics and pregnant women. Even from a young age, she has always loved caring for infants and young children. Her philosophy is that chiropractic adjustments during pregnancy provide the baby with the greatest potential for healthy growth while also relieving pregnancy pain for the mothers, helping them stay healthy and active. Chiropractic care after the trauma of birth, while learning to crawl, walk and ride a bike, and during the growth spurts of adolescence supports proper development into adulthood. Dr. Shalom is happily married to Nelson Vijayakumar and they have two beautiful daughters, Addie and Emma. They reside in Sun Prairie and love spending time outdoors and taking trips around Wisconsin. They are excited to start a new chapter in their lives by being a part of the family at Holistic Life Chiropractic.